In the summer of 2001, I worked for Boulder County Parks and Open Space as a wildlife technician on a prairie dog habitat project. I was desperate for a job and wanted to do something to improve the environment. Emotionally, it was difficult to relocate and exterminate black-tailed prairie dogs. Listening to these poor animals die was depressing, and some friends made me feel worse. I did not want to talk about my job when I got home and I only kept working there to make enough money to pay rent and buy food. Even though I hated this job, it gave me an insider"s perspective on the different cultural beliefs about prairie dogs and the surrounding landscape. It made me revalue my environmental ethics and overall morals as a human being. My job required me to observe, map and monitor prairie dog coteries and record other prairie species in the field sites, such as black-footed ferrets, burrowing owls, red-tail hawks and other birds of prey. My position included relocating prairie dogs to other areas owned by Boulder County. The ones we put down were gassed with carbon dioxide, frozen and sent to raptor or black-footed ferret rehabilitation centers for use as food. We were instructed to do this for four reasons. One is urban development and landscape change in Colorado. Boulder County is nestled in the foothills of the Rocky Mountains, a border zone of prairie land and mountainous terrain. The location is popular because it is close to the big city of Denver, yet has a rural setting with many outdoor activities and a history of farming and agriculture. Within Boulder County lies the University of Colorado and large tech companies, such as Hewlett Packard. Unfortunately, the popularity brings more development of malls, shopping centers and houses that overtake these prairie lands, pushing out the predators of prairie dogs (while the small animals themselves are left to multiply in fragmented zones). Another problem prairie dogs face is negative publicity. Many farmers and ranchers continue to view these rodents as "pests," despite lack of scientific data proving their harm (see “Open Season on ‘Varmints” ). A third reason is that many people in Boulder County don"t like prairie dogs because of the fear of catching infectious diseases. In 1999, a Colorado resident caught bubonic plague from the fleas on prairie dogs. In one of our sites, teachers wanted us to get rid of prairie dogs near an elementary school “for the safety of children"s health.” Lastly, a Colorado law passed in 2000 limits relocation of prairie dogs to other counties without permission from the host county. Since many see the animals as pests, this prevents Boulder County from relocating them to other rural, sparsely populated regions. In 1999, Boulder County created a prairie dog task force and set up designated management areas. 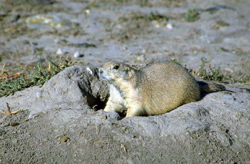 Prairie Dog Habitat Conservation Areas (HCA) are protected sites where the animals may live without human disturbance. While I worked for the county there were six such areas totaling 4,580 acres, and we placed approximately 50 prairie dogs in these sites. Multiple Objective Areas (MOA) allow prairie dogs to coexist with other landscape uses but they may not be the highest management priority and may be removed. No-Prairie Dog Areas (NPD) are slated for immediate prairie dog removal, and generally have unsuitable ecological conditions or existing agricultural uses. We captured on average 20 prairie dogs a day on 141 of these sites and put them down. These NPD sites were large plots, making it strenuous to locate, trap and carry prairie dogs on days when the temperature rose above100 degrees. Luckily, we worked in small groups, and we often had long conversations on environmental and animal ethics, questioning whether our actions were environmentally sound. Constant debates on what gave us the right to take and exterminate an animal that had done no harm to humans often arose. With the emotional stress building and having made enough money to support myself for the rest of the summer, I quit the job. Looking back, it was the most difficult job I"ve ever had. But, I would do it again because it gave me an insightful perspective on wildlife management, and cultural and environmental conflicts. Before Euro-Americans moved into the western parts of the United States, prairie dogs lived east of the Rocky Mountains, as far north as the great plains of Canada, and as far south as Mexico. At the turn of the century, there were about five billion prairie dogs inhabiting 100 million acres of short and mixed grass prairie land. Today their habitat range has shrunk 99 percent and fewer than 700,000 prairie dogs remain because of disease, cultural beliefs, drought, sprawl, cultivation, grazing and recreational shooting. There are five species of prairie dogs: the black-tailed prairie dog (C ludovicianus), which became a candidate for the endangered species act in 1999 but was rejected in 2004, white-tailed prairie dog (C. leucurus), Utah prairie dog (C. gunnisoni) which is threatened, Gunnison prairie dog (C. gunnisoni), and the endangered Mexican prairie dog (C. mexicanus). These rodents are social animals constantly "kissing and hugging" to communicate. They live in coteries usually composed of one male, several females and offspring and within each coterie lies burrowing holes that can be 15 feet deep and more than a hundred feet long. Scientists believe these animals are keystone species because they have a large overall effect on ecosystem structure, and are linked to health of at least 208 vertebrate species and numerous invertebrate species. Some of these species are endangered such as the burrowing owl and black-footed ferret, while others such as the mountain plover, ferruginous hawk and swift fox are candidates for the endangered species list. Prairie dogs are important to grasslands because their burrowing and grazing affects the rates of nitrogen and phosphorous cycling, leading to healthier plants. Prairie dogs clip vegetation, stimulating constant and healthy re-growth during the growing season. According to DM Roemer and SC Forrest in Environmental Management (1996), younger vegetation is higher in nutritional qualities than mature growth, and it attracts large herbivores such as cattle, bison and pronghorn. Farmers feel that prairie dogs eat crops, decreasing agricultural productivity and economic values. Some say prairie dog burrows cause property damage and make it difficult to plant new crops. Many farmers label the rodents pests and exterminate them on their private property. Ranchers often believe the burrowing holes break cattle and horse legs, despite a lack of evidence, and claim the animals are competitors to livestock. eserve to live. They often question the authority of wildlife management programs and procedures. Environmentalists value prairie dogs as a keystone species. They understand saving prairie dogs will save our prairie lands and that humans should not disrupt the predator and prey relationships. 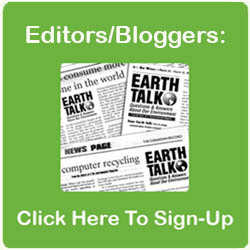 They also argue for less development and protection of the natural landscape. Their position is often—along with animal rights activists—to keep prairie dogs on all properties, both public and private. Developers argue that there is an overpopulation of prairie dogs already. They feel that prairie dogs intrude into development and view them as pests. Their position is often to exterminate prairie dogs on developing property. The General Public tends to be more concerned with saving money than with the fate of prairie dogs. Overall, they regard health issues as their main concern and fear an outbreak of the bubonic plague. Their position is mixed, with some wanting to keep prairie dogs and others wanting to exterminate them. American Indians have strong religious and cultural ties with prairie dogs. They argue prairie dogs are part of their cultural heritage and are necessary for the prairie ecosystem. Their position is to keep prairie dogs on natural lands, and some tribes have created holistic management plans on their tribal lands based on their beliefs. The Japanese have been shipping prairie dogs to their home country for keeping as pets. They view these animals as a status symbol of western exoticism. Each stakeholder is trying to persuade Boulder County Parks and Open Space and other management programs to make the best decision. Clearly, there are cultural differences in environmental ethics, and the fate of prairie dogs depends on these questions. Today, 91 percent of western ranchers feel they should not have to accept agricultural and livestock loses because of prairie dogs, while 97 percent of western ranchers favor controlling them. Since so many view the rodents in a negative light, most habitat programs use extermination practices to remove them. Even though the methods of extermination vary (poisoning, gassing, shooting or vacuuming), the results are the same. Under state law in South Dakota prairie dogs are pests. I was paid by Boulder County to relocate prairie dogs, yet citizens were killing them on private and county-owned property elsewhere in the state. In 2002, Colorado started a $600,000 pilot program that used lottery money to provide financial incentives to landowners who conserve prairie dogs. However, most Colorado ranchers were unwilling to participate in the program, largely because of cultural beliefs. Most scientists agree that we spend more money than needed killing prairie dogs when these funds should be going towards environmental education. Places like the Denver Zoological Foundation and the Northern Rockies Conservation Cooperative have daylong educational workshops on prairie dog conservation. Independent ranchers such as the Tranel family in Butte, Montana, have successfully raised cattle with prairie dogs. Ned Tranel, Jr. says the cattle on his 77,000 acres are attracted to prairie dog colonies because of the fertile grasses and species diversity. Keith Crew, a resident near Badlands National Park in South Dakota, has raised rare albino prairie dogs since 1966 and sells them as pets. Most of the buyers have come from Japan. In recent years, thousands of prairie dogs have been shipped to the Asian nation. The animals are prized there because they are small, not too loud, and social animals. On the Internet, there are pet prairie dog sites from all over the world with pictures sent from proud owners. There are prairie dog pet chat sites and online stores. One pet prairie dog distribution company sells white prairie dog pups for $500 each. Black-tailed prairie dog pups sell for $150 each. The cost of the kennel, airfare and delivery totals $185. While tax-payers in the United States are paying thousands of dollars to exterminate these animals, in Tokyo, an albino prairie dog fetches $3,000. A palomino sells for $1,000 and the black-tailed sells for $300. Boulder County paid me $12 an hour to exterminate roughly 20 black-tailed prairie dogs each day. If we instead sold 20 prairie dogs a day, taxpayers would not only save money, but also hypothetically, a $6,000 profit would return from sales of pet prairie dogs to Japan. This money could be put into environmental education programs or used to protect open space. Perhaps, if rural westerners come to see prairie dogs as having value they’ll stop poisoning and shooting them. Another solution is to compel the government to list black-tailed prairie dogs as an endangered species (it was removed from candidate status in 2004). If that happens, it will become illegal to kill prairie dogs on public and private property. People will be forced to live with prairie dogs, and the existing prairie ecosystem will regain its balance. It will also slow the rate of urban development. Westerners need to rethink their environmental ethics. Environmental education needs to become more mainstream, because many ecosystems are diminishing. While one culture views prairie dogs as pests, another sees them as a keystone species, and another views them as cute pets. Understanding each society"s beliefs, history and cultural foundations will hopefully guide us in a successful approach to protect the prairie ecosystem and direct development to become more environmentally sustainable. Corey Hayashi is a doctorate student in environmental anthropology at Indiana University. He is currently in the Brazilian Amazon studying agroforestry systems used by a community of Japanese who migrated there in the 1920s. This article was abbreviated from a longer version. Contact the author at chayashi@indiana.edu. For more on prairie dogs, check out E’s July/August 2004 issue, emagazine.com/?toc&issue=69.